An Exhaust Gas Scrubber system has been retrofitted on cruise ship Norwegian Jewel to reduce the vessel’s air emissions and environmental footprint. Norwegian Cruise Line said it is the first cruise line to retrofit a vessel while it is in service with an Exhaust Gas Scrubber Hybrid system. Norwegian Jewel’s new lightweight in-line scrubbers are a hybrid technology developed by Yara Marine Technologies that are able to operate in dry mode, open loop and closed loop. 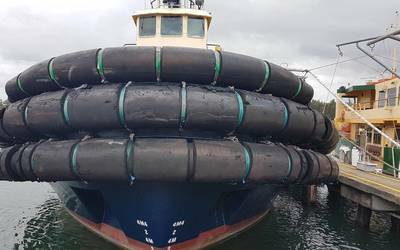 Five scrubbers were installed, one per engine, covering the whole propulsion system. Collectively, they are capable of reducing the emission of sulfur to air up to 99 percent and also reduce 85 percent particulate emission to the air. Norwegian said it is also the first cruise line to install scrubbers with a water membranes filtration unit, which uses Ultrafiltration technology to clean the recirculated water during the closed loop operation down to clear water. The byproduct is collected and removed in drums. Norwegian currently has three of ships outfitted with Gas Scrubbers technology, with Norwegian Jewel joining Norwegian Escape and Pride of America. Norwegian Cruise Line is on track to meet its MARPOL Annex VI compliance goal of reducing its global sulfur cap from 3.5 percent to 0.5 percent by 2020. 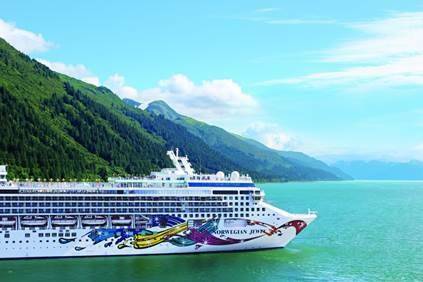 Norwegian Jewel’s sister ships, Norwegian Pearl and Norwegian Gem, will complete their scrubber commissioning within the coming weeks with Norwegian Jade and Norwegian Sun scheduled for retrofitting in the first and second quarter of 2017, respectively.